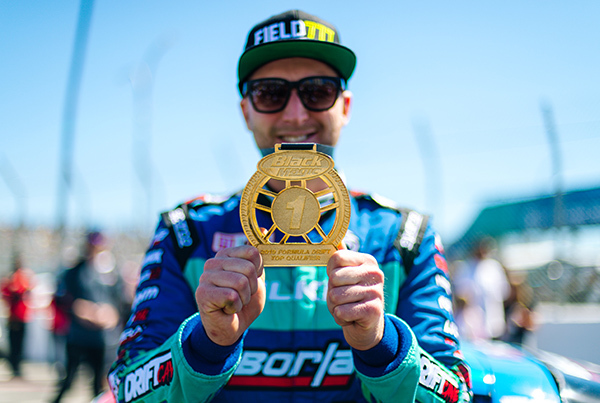 For 2019, Link ECU warmly welcomes Matt Field to our #TeamLink Formula Drift Pro Driver line-up. Matt’s Corvette is now powered by a Link Thunder ECU. 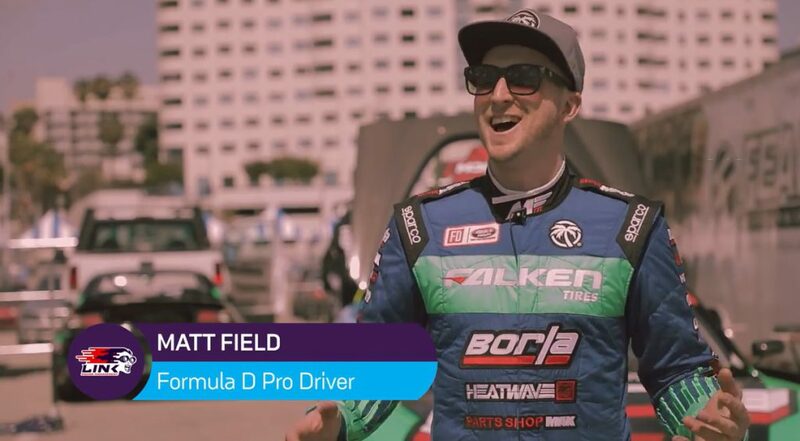 After a busy off-season building a new car, we were ‘over the moon’ to see his hard work pay off with taking Pole Position at the Formula Drift Season opener in Long Beach! 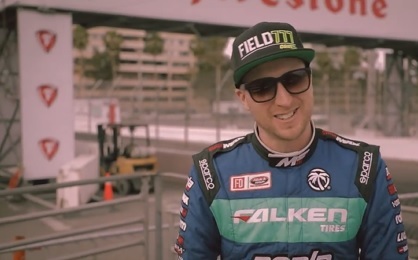 “After a long and action packed off-season, my team and I found ourselves at the opening round of the Formula Drift in California. Long Beach is my favorite track by far. The high and dangerous walls that line the narrow course showcase the drivers and teams ability. Media day was upon us. This was the first time that us drivers were able to hit the circuit. Giving rides, turning laps and interviews is what this day is all about! We ended on a high note and a solid setup going in to Friday. Friday morning rolled in and the team and I were ready. We worked through practice, dialing in the car and making huge leaps to achieve a solid qualifying setup. On the first run I ran a smooth but safe line, receiving a score of 91 we were in the show, but not where we wanted to end up. For run two I was able to throw it down. Putting the rear bumper of the Corvette right on every wall and filling every zone. After I finished the run, I could tell it was going to be a good one, but even I was not expecting to receive a score of 99 and landing us the top spot. Qualifying well was awesome but it was time to shift into battle mode. The top 32 bracket is so loaded that every battle was going to be difficult. We were to face Jeff Jones in top 32, and unfortunately for Jeff, he hurt his hand the day before and needed 40 stitches to hold his finger back together. He was out there driving with a severely damaged hand, so I knew I had to drive smart, and be careful for any wild movements from Jeff. Fortunately we won the battle and moved on to the Top 16. Here we would face Ken Gushi. The mindset going into this battle was to not over grip or over drive the car and win with our lead run. The first run went great, with me hitting all my points and finishing off the run solid. On my follow things got a little difficult when Ken failed to reach the touch and go, causing a odd transition behind him, but we still got the win and moved into the great 8. Chris Forsberg was our next opponent. He had been driving amazing all weekend and now that he has Parts Shop Max suspension, he would be an even more difficult opponent. I lead first and for the first time all weekend rubbed my bumper on the wall. After A mistake from Chris in the chase I figured we had the battle won. Unfortunately on my follow, after a smooth and possibly not aggressive enough transition under the bridge, the front end started to push. I understeered and almost crashed into the tires. Fortunately for me, I was able to flip the car around, stand on the throttle and avoid the tires. A total bummer, and not the way we wanted our weekend to end. Overall though it was a solid weekend. We qualified 1st, finished 5th in the event, and Odi ended up winning. 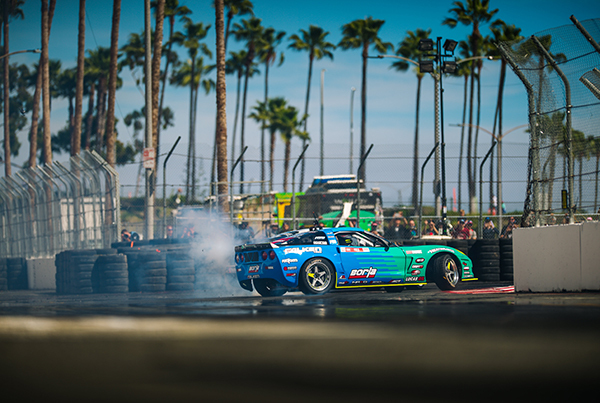 Solid weekend for the Falken team and it really shows me how amazing this season is going to be. On to Orlando in a few short weeks! All in all, the team and myself were very happy with the outcome of the weekend. This car has huge potential and my team is working great together to develop it and give me a winning machine.